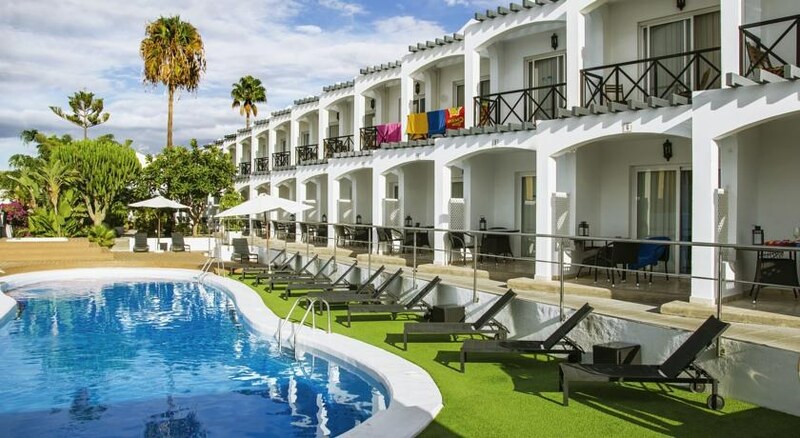 Vista Bonita Gay resort is a small and gay-friendly complex of only 8 apartments in the lovely resort of Playa del Ingles, dotted with fine beaches and plenty of avenues for relaxation and entertainment. This is an adult only resort. Spread around a pool area complete with sun terrace and sun loungers, this property offers modern and well equipped guestrooms with an en suite bathroom (with shower), kitchenette with glass ceramic hob, microwave and coffee maker. Although only small, this property is well known and popular with repeat visitors to the island. Wi Fi is available in the complex (payable locally) and the friendly staff speak English. 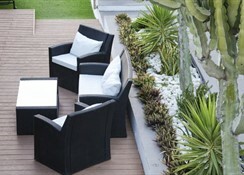 All apartments have a furnished patio for guests to enjoy the sunshine and relax. 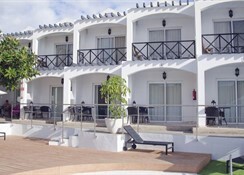 Vista Bonita Gay resort is a gay-friendly complex located in a quite area of Playa del Inglés. There is a local bus stop & taxi rank within 50m of the property. The beach at Maspalomas and the famous dunes are 2km away. 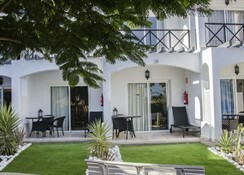 The airport is located only 28km from the resort while the centre of Playa del Inglés and Meloneras, where there is a selection of shops, bars and restaurants, is a 5 minutes’ taxi ride from the complex. Vista Bonita Gay Resort is decorated with contemporary furnishing and each of its duplex has a kitchenette and toilet located on ground floor. Apartments are also air conditioned and have free satellite TV. The living room opens onto a terrace, giving guests direct access to the garden or pool. 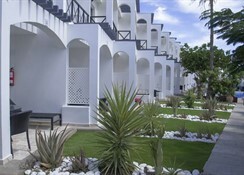 Bonita Gay resort are self-catering apartments with a kitchenette to enable guests to prepare their own food. The hotel has a restaurant and bar serving up local and international cuisine and drinks. You can find a range of bars and restaurants around 2km away from the resort or a 5-minute taxi ride. Bonita Gay resort has a lovely pool with a sun terrace where guests can relax. Additionally, a solarium, massage services, sauna and hot tub are there for relaxation of guests. 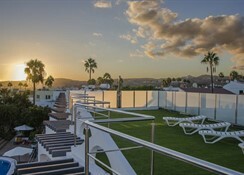 Golfers can head over to the Maspalomas Golf Course which is 1.6km from the property or you can head to Aqualand for some fun as it is only 2km from Vista Bonita Gay Resort.